The Dope Church Girl Diaries! Where Intelligence Meets Fashion and College Life! For Smart Girls Only! 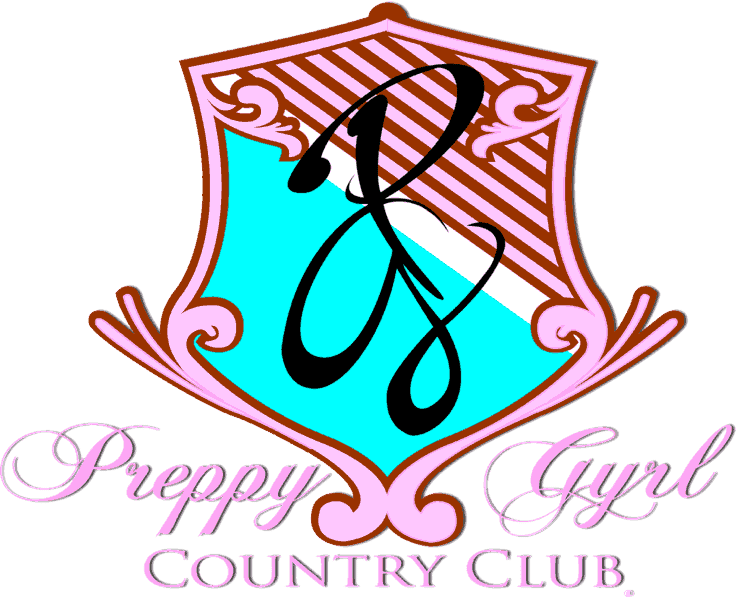 Preppy Gyrl Country Club® is a college prep brand! The Pout Fashion House™ of Lipgloss luxury and Black Girl Literature created by LaToya N. Ausley for teen girls and young adult women. We are cute and classic, representing vintage teen girl beauty and lifestyle. Preppy Gyrl was established in 2008 as a custom lipgloss boutique in the Beverly area of Chicago. The boutique was known for its classic lipgloss, inspirational tees, college Chic clothing line, amazing lipgloss parties and the dopest Smart Girl accessories. In 2017, the brand was extended beyond beauty merchandise and would now include College Prep Literature to educate the brains and edify the spirits of girls across the world! Our Clubhouse novels cater to middle school girls with a special emphasis on transitioning into a teen and all that comes with it. The Country Club novels cater to high school and college girls with a special emphasis on transitioning into college and adulthood with major themes of virginity, love, identity, success, dating, friendship, Christian lifestyle devotion and discipline, socioeconomic class awareness and the gifts of the Holy Spirit including the prophetic. Our novels are written from a biblical perspective with raw and real experiences of African-American Christian girls. We are your number one source for all things college prep for teen girls and college/dorm life survival for the collegiate and Christian girl. The Country Club college novels chronicle the lives of four African-American teenagers as they journey from the hood to higher education and high society. Preppy Gyrl Country Club explores the diversity of subcultures within African-American culture. The novels capture the plights of social and economic class advancement, upward mobility, college, campus life and entry into adulthood for the Christian girl. The struggles of being Christian and living life on campus are real! Preppy Gyrl Country Club takes you into a “Smart Girl’s World!” It is the premier place of leisure for the smart and fashionable girl. The country club is the ultimate Clubhouse for young ladies! The books in the series are decorated with realistic struggles and successes of African-American teenagers who are intelligent, Christian, college-bound, fashion savvy and raised in the ghetto. Our novels are adorned with romance, mystery, thrillers and a wide range of drama to keep you engaged. Each book and every chapter has several lessons embedded in it for the academic, spiritual, social and emotional growth of the reader. The novels are quite entertaining and full of moments that will have the reader laughing, crying, angry and even wanting to say Amen and thank God but there are lessons to be learned. Preppy Gyrl Country Club introduces lessons such as good and bad decision making, problem solving, dating, college planning, academic excellence, prayer, Christian lifestyle discipline, dealing with adversity, problems with parents and family, finding your spiritual gifts, identity and so much more. The Preppy Gyrl Country Club novel series and all of our literature are educational, integrated with major categories of Student Development Theory and are classified as contemporary, College Novels for Young Adult and Teen readers with an emphasis on Black Christian Girls in College. Preppy Gyrl Country Club offers several amenities to our members.Preppy Gyrl University which includes a variety of courses that cater to the needs of high school and college girls as they transition into college and adulthood. We also provide college planning, major exploration and identification, career discovery, learning and study strategies and our Ausley College Prep Assessment (ACPA) that assesses a young ladies’ preparedness for college life academically, socially, spiritually and emotionally through The Young Scholars League, our Educational Consulting Firm. Our Bubblegum Pink Lipgloss Shop houses all of our merchandise for purchase including our books, clothing line, Lip Gloss Lounge and the dopest smart girl accessories! The Bubblegum Pink Lipgloss Shop is filled with our signature Preppy Gyrl items known for its classic collegiate style with rich blends of sweet pastel shades. It truly is a candy store for the prep and posh! We educate and prepare students for collegiate success by providing a holistic university prep approach. We seek to make a cultural impact on African-American girls through education and fashion. Our goal is to increase intellectual vitality, promote spiritual fervor as Christians and enhance the social ideals of every young lady that we encounter. 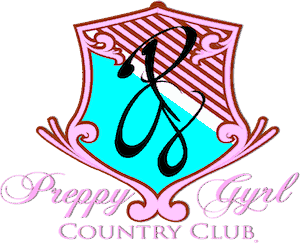 Preppy Gyrl Country Club addresses the cognitive, social and emotional challenges as it relates to a student’s academic success, growth, development and identity. Our desire is to assist students through their journey into college and adulthood through our books that address realistic issues in the lives of many teenagers and young ladies in today’s society. Our literature is designed to educate, edify, warn, inspire and encourage young women as they transition into a life of freedom and Independence that not only includes an ideal plan but snares and possibilities of poor decisions that can alter ideal goals and plans. It is our desire that enlightenment and positive actions take place in the lives of each teen and young woman that chooses to read any of our books. There are an array of lessons presented in each chapter that are designed to make an impact and educate in a non-traditional way. It is our goal to inspire and encourage young ladies to remain focused on their dreams, goals and career plans, be disciplined Christians that strive to live life according to the Holy Bible, advance in academic pursuits, exemplify class in wardrobe, become a leader, make good decisions, be watchful of distractions and pursue success with clarity from God!